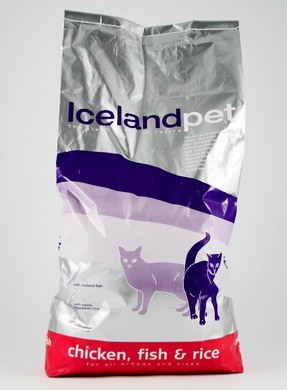 The cat receives important proteins from Icelandic fish. 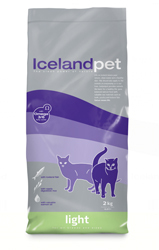 Fish and poultry are a tasty and easily digestible, and therefore ideal for cats with sensitive digestive systems. The food contains no other animal proteins which could cause allergies. No colour additives or aromatics are used in our production. Use by date (if the product is stored correctly), production number and approval number of the producer: See stamp on packaging. Weight of cat Daily requirements in gr. Meal made from poultry (min. 26%), corn gluten, rice (min. 14%), dried fish powder (min. 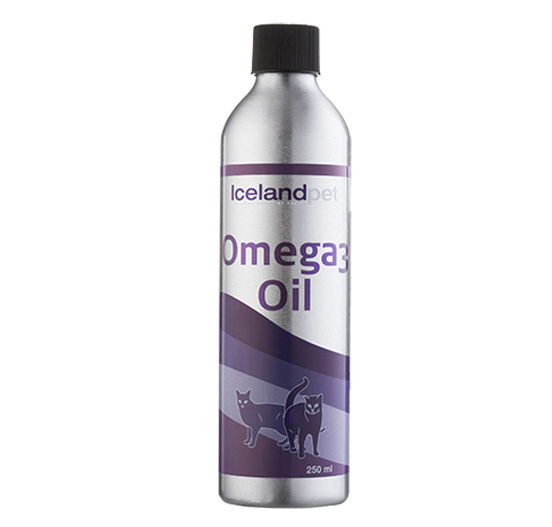 10%), flour, animal fat, dried sugar beets, salmon oil (min. 1%), core of poultry liver, flaxseed, calcium phosphate, sodium chloride.